After lunch on the 24th, I went home to my family to celebrate my Christmas there. That morning, I prepared my gifts for my family as well as my clothes and toiletries. I took the bus to Paranaque in Robinson’s Galleria. I first dropped by SM Sucat to buy a cake and a blender. I also met my friend there. I arrived in SM Sucat around 11:30 in the morning. I first checked the Red Ribbon outlet and was overwhelmed with the large volume of people buying cakes. I went to the line then checked out their brochure where the pictures and prices of cake are available. I have decided to check out the Goldilocks outlet in front of SM Hypermarket. It even has a longer line compared to Red Ribbon. I went back to Red Ribbon where I bought the Choco Mocha Crunch cake. After buying the cake, I went to the SM Appliance Center where I bought a blender. That blender would be a gift for my other family in Bulacan. After buying the blender, I met my friend then had our lunch at Karate Kid. We then exchanged gifts. 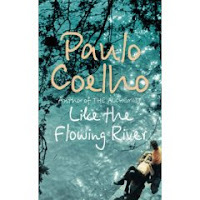 I was surprised that I received a Paulo Coelho’s Like The Flowing River book from his cousin. After our lunch, I accompanied my friend to the Department store where he did his last minute Christmas shopping. I arrived home around 2 P.M. I cleaned myself then went to bed. I was exhausted from the travel and the Christmas shopping with my friend. I woke up around 5 P.M. where I treated myself with a sandwich. The whole night I just watched TV with my sister and mom. I have decided to just sleep by 11 P.M. I gave out my gifts to them then just went to bed. I received two boxer shorts from my sister. I love them! a celebration with family is always warm and special. I think best way to spend christmas is with family. @Denis I agree with you.